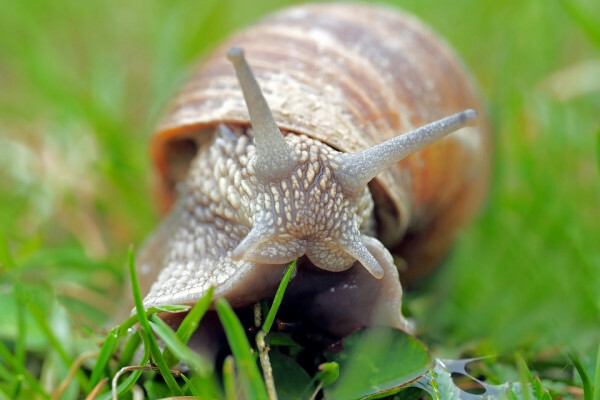 Can slugs and snails feel pain? I'd like to know if slugs and snails feel pain? They are the bane of my horticultural life and I would like to know which is the most humane way of dispatching them, apart from natural predators? I wasn't actually sure about the answer to this to start with, whether things like slugs and snails do actually feel pain. The way that the medicines and the drugs work that you put into slug pellets is they basically just cause them to expire through various toxic ways which are not going to affect humans and other animals and mammals. You're exploiting a chemical problem that the snail has when it eats this stuff compared with us. "New research published by Queens University Belfast Academic has shown that crabs don't just suffer pain, but they also remember it too. The study looked at the reactions of hermit crabs to small electric shocks and it was carried out by Professor Bob Elwood at the School of Biological Sciences at Queens University Belfast, and published in Animal Behaviour. Professor Elwood, who has previously carried out a study showing that prawns endure pain, said that his research highlighted the need to investigate how crustaceans used in food industries are treated." Obviously, this is about crabs and you're asking about slugs and snails, but they are closely related in the grand scheme of things, and therefore, it's reasonable that if we read what happens to a crab, we can sort of extrapolate to a snail. Now he goes on to say, wires were attached to the shells of the hermit crabs to deliver small shocks to the abdomens of some of the crabs in their shells. The crabs that got out of their shells were those that had received shocks, indicating the experiment was unpleasant for them and it shows that central neuronal processing, in other words, they realise it was unpleasant the they decided to vacate their shell. It wasn't just a reflex response. He also says that crabs that have been shocked that had remained in their shell were appeared to remember the experiment of the shock because they quickly move towards a new shell when they were offered one, compared with the shell they were already in. In other words, they prefer certain shells over others and if they're in one that they're already been uncomfortable with and you then shock them, they're much more likely to vacate the premises and go for a new shell. So, this would suggest that simple creatures like prawns and also crabs, and hermit crabs can experience pain. Therefore, I think it's probably not unlikely that if you bring a snail to an untimely end by pouring salt over it or poison it with some slug pellets, it's probably not very pleasant for the slug or the snail. Previous Why do women live longer than men? Next Can food really "ferment"?